The BEST Tile-Swap Puzzle game in the App Store – features stunning pictures of the Valentines and the Celebration of LOVE. A Great PUZZLE that is NO Mess, NO Frustration! – Just a great challenge and tons of fun! Ready for the iPhone(5), iPad & iPod Touch. Does valentines fill you with joy? Do you make intricate cards every year, and love getting them from others? Well, now there’s a puzzle game that has a few valentines hugs and kisses to give you; with some assembly required, but that’s the fun! If you love getting valentines, then your heart is going to throb for this game. 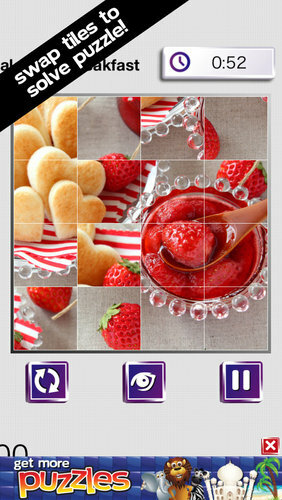 This game takes photos of valentines and turns them into challenging puzzles. You’ll find pictures of flowers, candy, young lovers, and all the other things associated with Valentine’s Day. – Tile-Swap Puzzle – Simple select two tiles at a time to swap places, until the final pictures is revealed. – Choose a puzzle from our many extraordinary photographs included in the app. 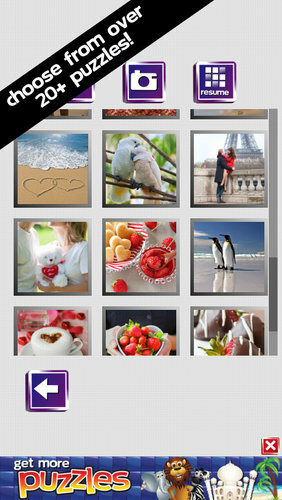 – Or create your own amazing puzzle using your own photos. – Choose an easy 9 piece puzzle or if you’re feeling brave – work up to a harder 100 piece puzzle. – Then Challenge your friends in Game Center and try to beat their best time, too. – Easy bragging rights feature integrated with Facebook and Twitter – Entice your friends to try and beat your best time, (I bet you can’t beat mine). 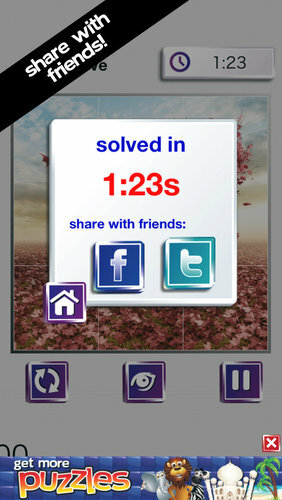 Play this puzzle app anytime you have a free moment and need some challenging entertainment. The only problem is…you won’t want to put it down once you start. Keep yourself entertained for hours when you download and solve these stunning puzzles. This is the perfect app whenever you need your daily fix of hugs, kisses, hearts and love. 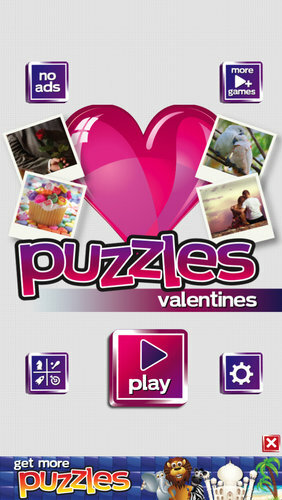 DOWNLOAD AND ENJOY Wonderful Valentines puzzles. If you love this free puzzle app, please rate it 5 stars and leave a nice comment. If you do not love it, please email us at puzzlesapple@mokoolapps.com and tell us why. There are some loading issues that we are working on right now. We want to hear your feedback and comments. Please include your device and operating system and more info the better. This Great Puzzle App is Available for FREE today!